Need hosting for your website? 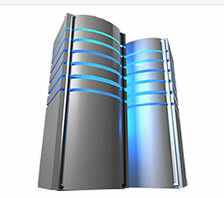 Finding a reasonably priced, reliable and accommodating web hosting provider can be a daunting process. We make it simple as your 1-stop shop for all your internet needs. We provide website hosting for individuals and small businesses that is both affordable and reliable - with no ad banners -no pop-ups - no set-up fee. Our State-of-the-Art Server facility provides dedicated reliability, backed up with redundant 192-OC connections. Our Direct 100 megabyte server speed allows your web site to plugin to the Internet with ease. Choose from 2 plans to find the right fit for your needs. We've listed all of our hosting plans side-by-side, so you can see what you get with each one. If you're still not sure, e-mail us and we'll be happy to help you walk through your decision.